We convene thought leaders in workplace HWB and other organizations that have a stake in employee and community health and productivity. We are committed to advancing professional best practices that are based on research and documented outcomes. We adhere to strict ethical standards in how we interact with HERO members and other organizational leaders and in the way we partner with other organizations. All workplaces will positively influence the health and well-being of employees, families and communities. Advancing health, well-being and performance through employer leadership. 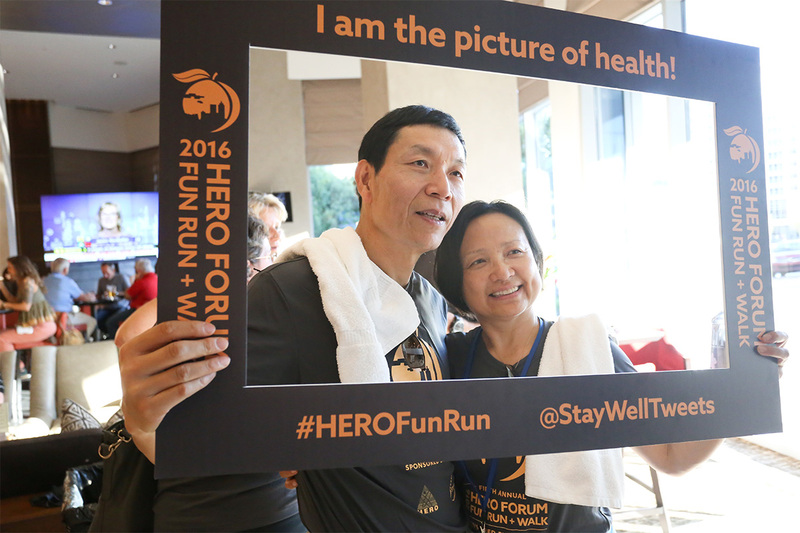 HERO is a national non-profit dedicated to identifying and sharing best practices in the field of workplace health and well-being (HWB) to improve the health and well-being of workers, their spouses, dependents and retirees. When a HERO member moved to a new job, her first pitch to her new organization was about why they should join HERO. “HERO has a very different feel than any of the other industry groups,” she wrote. HERO was established over twenty years ago to create and disseminate research, policy, leadership and strategy to advance workplace health and well-being (HWB). Still, “HERO is not interested in being the biggest. Rather, having been employer driven since inception, they are focused on promoting the industry for employers.” HERO is a member-driven organization with an “intellectual co-op feel” where learning opportunities, including conducting research, are led by our committees. Together we share best practices, advocate for improvements in the field and provide practical solutions for employers who share our commitment to supporting health and well-being for employees, families and communities. Invitation to join the HERO “Think Tank members only” LinkedIn private discussion group to network with other members. Think Tank members have a hands-on role in the creation and dissemination of national workplace HWB policy, strategy, leadership, and infrastructure. Membership in the Think Tank allows individuals and organizations to be at the epicenter of a dynamic evolutionary process that enhances the sophistication and credibility of the industry. Think Tank Members are a part of select leadership group that is rapidly moving workplace HWB toward new levels of acceptance and accountability. Think Tank membership is an opportunity for professional development that directly impacts knowledge and skills of health management professionals. Workplace health and well-being (HWB) is at a critical point in its evolution. Over the past decade, the spiraling cost of health care has become a major concern for corporate executives across the country. Couple this with the heightened interest in the role employee health status plays in presenteeism, absenteeism and productivity, and you will understand why there is a growing interest in workplace HWB among business leaders. To respond to this increasing focus on employee wellness, there is a critical need to create high-quality research that addresses specific health issues.